Being a Linux user, one of my concerns with shooting raw was what to do with the files once I’d captured them. On Windows I’d probably just use Canon’s software that was supplied with my 40D – Zoombrowser and Digital Photo Professional. 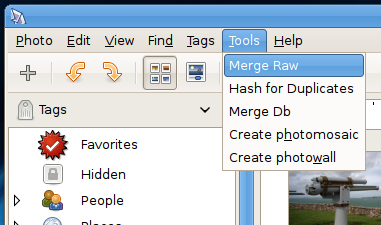 However the default photo mangement application in Ubuntu, F-Spot, pleasantly surprised me in the way it handles raw files. Not only does it understand and preview them, it can manage raw .cr2 files, developed jpegs and camera jpegs as one image, meaning that you can preserve all versions of a picture without cluttering up your library with multiple versions. For me this is almost an essential feature now, as I frequently have three, sometimes four versions of the same image – raw, camera jpeg, developed jpeg, cropped, etc. You will need to have the universe repository enabled to install this package, to enable it go to software sources and tick the appropriate box. The main down side to using UFRaw as opposed to Canon’s Digital Photo Professional, is the lack of lens aberration correction. This may not be a problem for you if you only shoot L glass, but for the rest of us with consumer zooms the lens correction is a nice feature to have. I also find that it’s easier to achieve better results with DPP, it’s not that UFRaw can’t make the adjustments, but DPP does seem to make more intelligent guesses and I find I can achieve a good result faster than with UFRaw. Fortunately, Digital Photo Professional works fairly well in Wine. 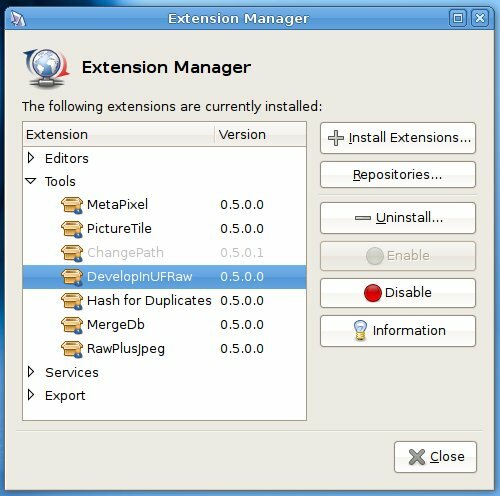 To install it on Ubuntu 8.10 simply pop in the CD, and open the setup.exe file with wine (right click, Open with “Wine Windows Program Loader”). I’d suggest deselecting all drivers and anything unnecessary, I installed DPP only). F-Spot and UFRaw make a pretty powerful photographic toolset, and with DPP running in Wine there’s little need for Windows. 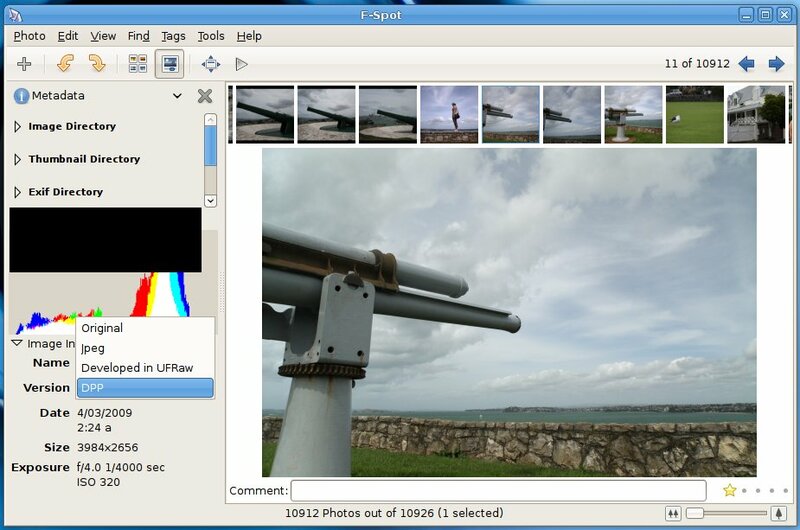 If you don’t like F-Spot there’s Google’s Picasa (which is actually a Wine app on Linux…), and DigiKam which is the KDE equivalent. This entry was posted in Linux, Photography and tagged linux, photography, raw on March 5, 2009 by Alex.